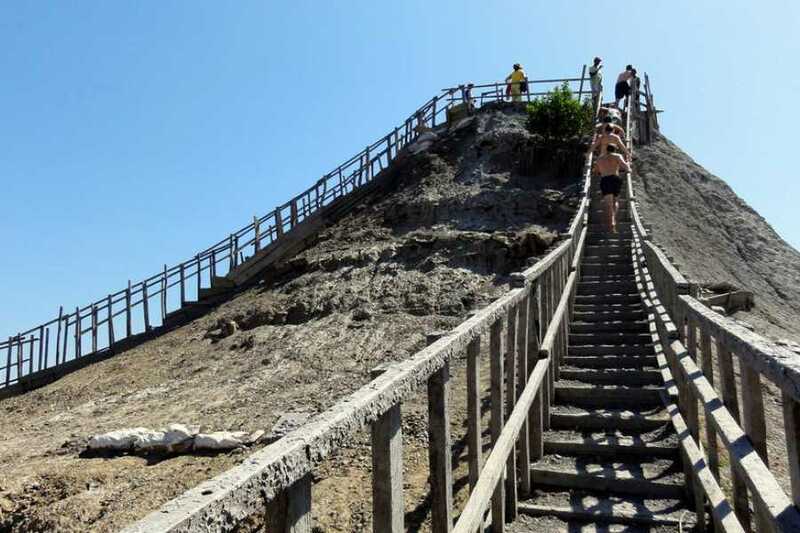 Climb to the Mud Volcano, one of the 'World's Smallest Volcanoes' and enjoy a relaxing bath with the warm mud inside. 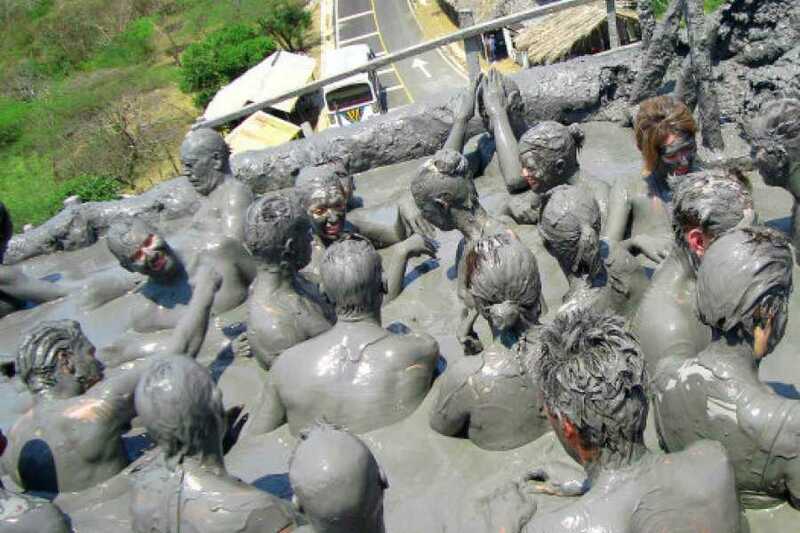 Some locals say "the mineral-infused mud has healing properties". 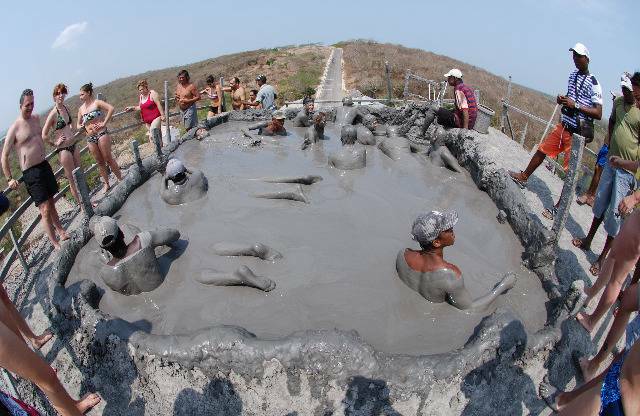 After exfoliant bath get shower in the lagoon 'Ciénaga de la Virgen', delight a delicious local lunch and ending the day at Manzanillo's beach. Zone 1 (Bocagrande) - 9:00 a.m. > 9:15 a.m. Zone 2 (Laguito) - 9:00 a.m. > 9:15 a.m. Zone 3 (Getsemaní) - 8:30 a.m. > 8:45 a.m. Zone 4 (Walled City) - 9:15 a.m. > 9:30 a.m. Zone 5 (Marbella, Crespo, Anillo Vial) - 9:30 a.m. > 9:45 a.m. 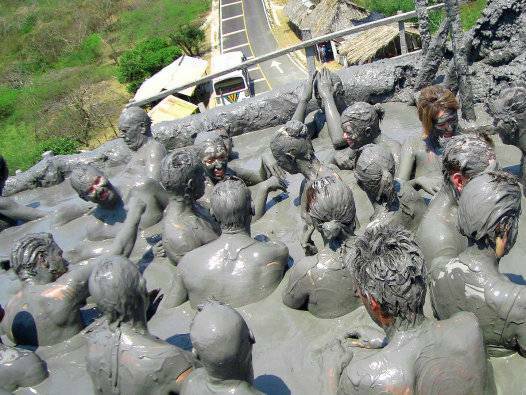 Zone 6 (Manzanillo) - 10:00 a.m.
- Access and relaxing bath in the Mud Volcano. - Local lunch, fried fish with coconut rice, fried green plantains, salad and natural juice. - Beach time at Manzanillo's beach. - Towel, massage and cleanup service.